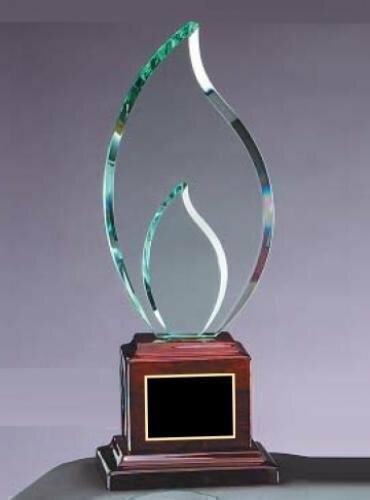 The double flame rosewood award is an elegant way to recognize a special person. It comes with a laser engraved black brass plate with gold letters. 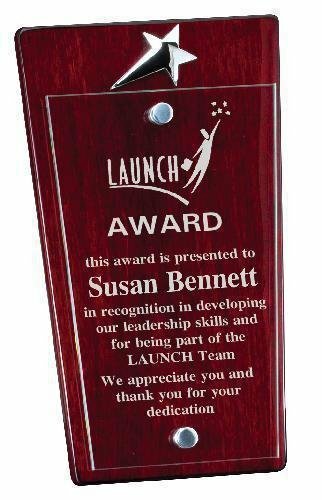 The flame can also be laser engraved and sandblasted for an additional fee. The Glass and Rosewood Award is an elegant Rosewood Piano finish and glass arrowhead award. A gold tone plate with black lettering is also included. 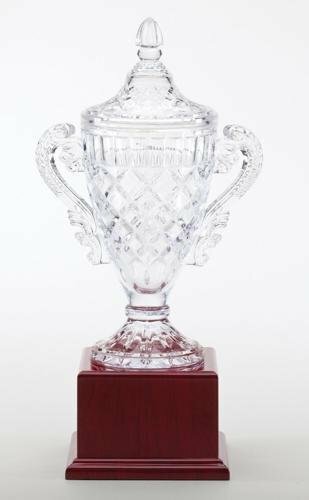 The Glass Rosewood Award is an elegant free standing Rosewood Piano finish and clear glass award. A gold tone plate with black lettering is also included. 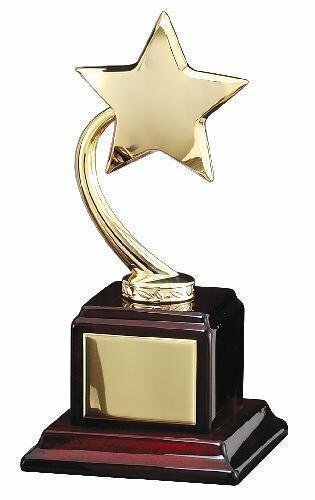 This Gold Star award has an elegant gold finish star on a Rosewood Piano finish base. A gold tone plate with black lettering is also included.